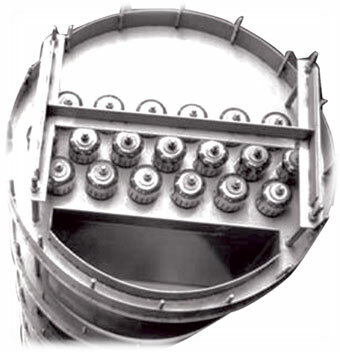 Cartridge trays are typically used in flanged columns where the tower diameter is so low and no manhole is used. Generally, for columns with diameters less than 900 mm,any of tray products can be manufactured in cartridge-style construction. This scheme can only provide up to 5 trays per cartridge, they are joined together in bundles for easy installation.